Add some delight to your day with these delicious slices of heaven. Our Dark Choc Cranberry & Almond Bars are packed with crunchy roasted almonds and plump cranberries, whilst our Dark Choc Cherry & Coconut Bars are brimming with juicy cherries and shreds of coconut. 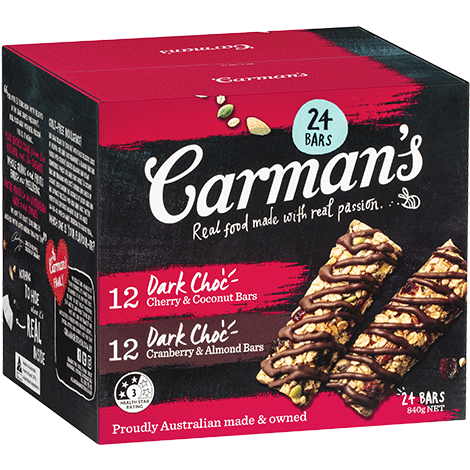 Both contain the goodness of Aussie oats and are lovingly drizzled with rich dark choc. They’re perfect in a savoured moment or as you graze on-the-go.